From 7″ (Mantra, 1976). 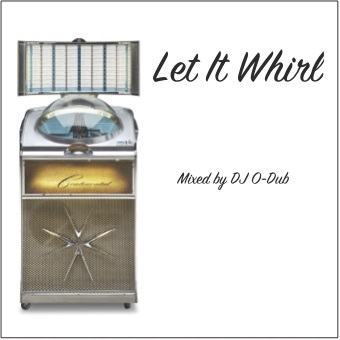 Also available on 12″. Long before L.A. Reid became, well, L.A. Reid, he was one of the countless aspiring musicians to come out of Cincinnati, arguably one of the most talent-rich cities in America. Back then, he was a drummer and ended up claiming one of his first recordings with the band Pure Essence, lead by Steve Tucker. 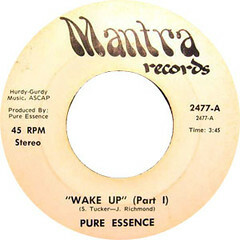 Short-lived (they only ever recorded two songs), Pure Essence still has made quite the splash when their “Wake Up” 7″ was “discovered” a couple years back and for quite a while, the single held down holy grail status, with only a literal handful in circulation. Stonesthrow decided that this song – a masterful example of mid-70s funk with a modern soul touch – was worth reissuing and they went the extra distance, first by combining parts 1 and 2 into one single mix (my edit does the same thing but cuts it off much sooner). They also add the group’s other recording, “Third Rock” on the B-side, basically giving you the group’s entire output on a single 12″. 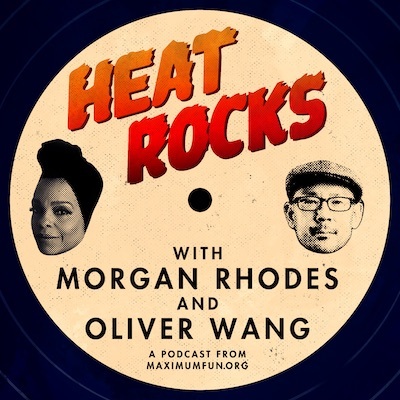 I don’t have much in my collection in this same vein but I can see why this style of funk has become so big amongst DJs – that bubbling bassline, Reid’s chattering drums, and (Tucker’s?) sweetly smooth vocals, plus that change-up towards the end of Part 1 where the song goes into that infectious chorus: perfection. I’d like to say I found this after spending 13 hours in a basement outside of Toledo but the truth is…I got it off eBay. Bless you, Buy-It-Now!